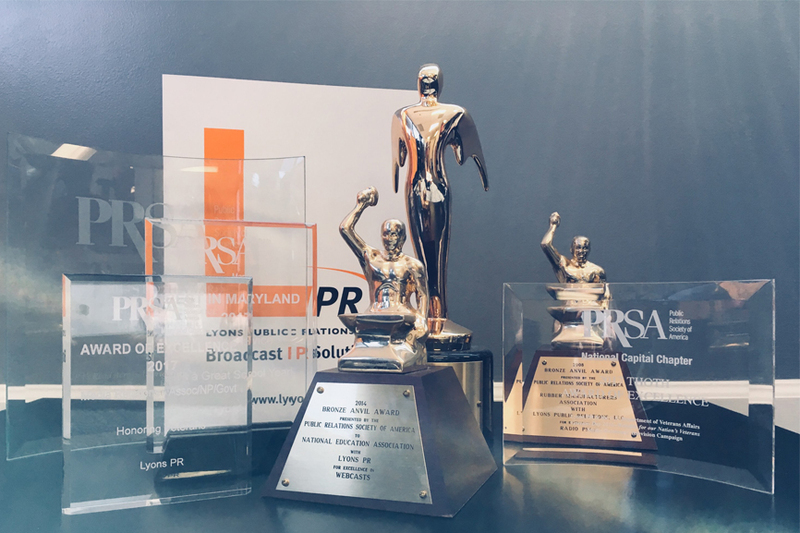 Lyons PR is an award-winning broadcast public relations firm. Clients come to us when looking for a strategic broadcast partner to promote their campaign, raise awareness for their cause, or drive legislative action. After over a decade in business, Lyons PR understands what works (and what doesn’t) for broadcast outlets, and how to pitch trade organizations, non-profits, corporations and government agencies. We work side by side with our clients to ensure that the broadcast campaign they’d envisioned comes alive. We're a partner in our clients' overall public relations campaign. Dedicated to client service, we create an individual strategy for each client that utilizes our various services, and we will implement only those services that can provide a high rate of success for your particular project. Not all broadcast media relations firms are created equal. Our reputation is on the line not only with each of our clients, but with the thousands of stations and networks that we provide meaningful public service announcements, timely news stories and informative guests. We will not commit to a project unless our reputation will be upheld on both ends. From the very beginning, we have taken a total client-focused approach, and our dedicated staff will work tirelessly with each client to ensure a successful project. We utilize the latest technology to ensure state-of-the-art productions as well as cutting-edge electronic tracking technology to provide verified, accurate usage results.